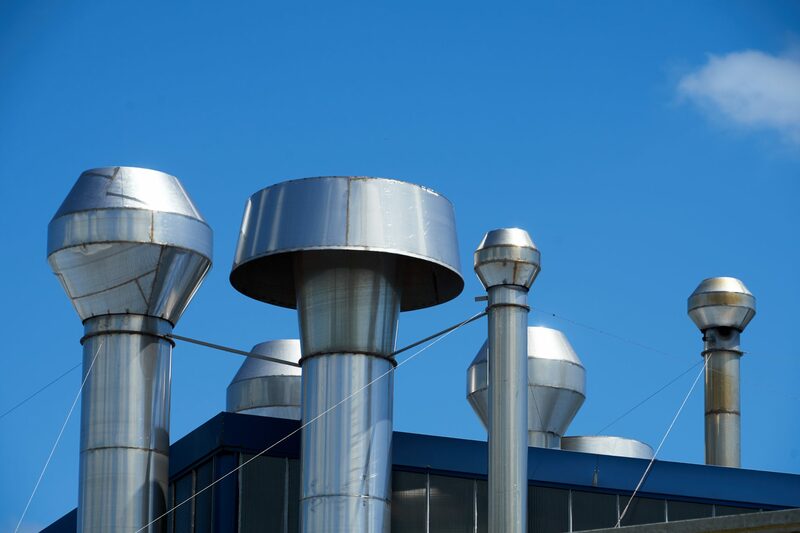 Duct Cleaning for Industrial and Commercial Ventilation Systems? Did you know? The cleaning your smoke ventilation systems is a legal requirement and, needs to be undertaken annually to stay compliant with the Workplace Regulations (1992). Over a sustained period, dust and bacteria contamination build ups can occur within the ventilation in buildings, leading to a reduced and affected air quality. This build up is more common in large office blocks, factories, depots, warehouses and manufacturing plants – our specialists advise cleaning more frequently depending on usage. As stated in regulations, it is the responsibility of the employer/building owner to ensure that air ducts and smoke vent systems are free of any impurities that could lead to ill health or, more serious incidents. These systems should provide effective ventilation/filtration when cleaned professionally and be accompanied with certification. Operating throughout the UK and Europe, Heightsafe’s approach covers both supply and extraction of ventilation and conditioning systems. With multiple industry accreditations and certifications along with experience working in every sector, you can rely on Heightsafe to provide a high-quality service, at a cost-effective price.